Can I come in?, originally uploaded by Overduebook. Precious, just precious! 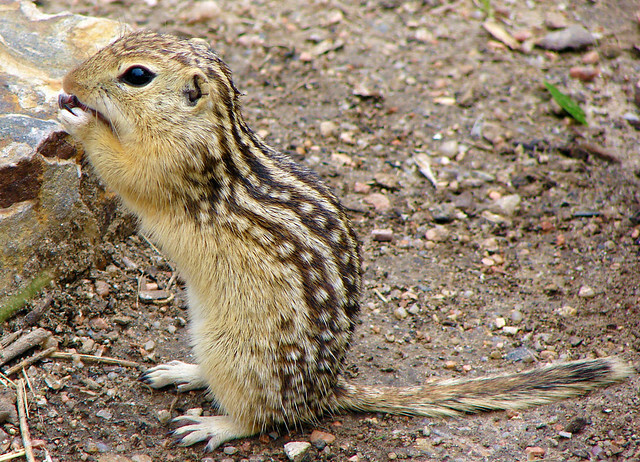 This is a 13-lined ground squirrel from the front. Their backs are covered with stripes and dots. Little Morse code squirrels. 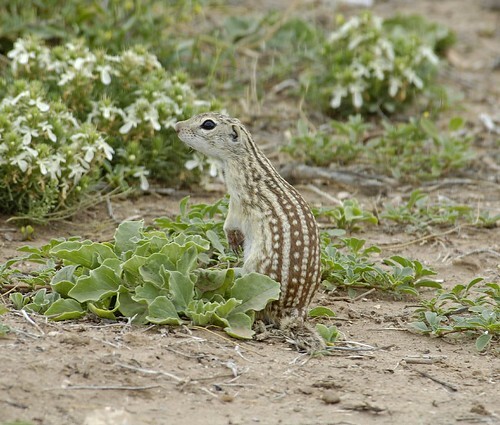 The Wisconsin State Journal has an interesting story today about how the 13-lined ground squirrel is the focus of organ transplant research. 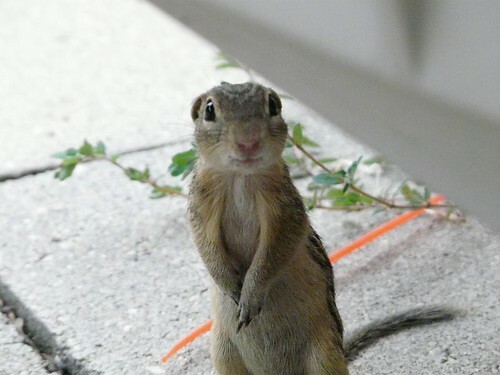 Yep, this oddly named species of squirrel, known for the lovely series of spots and stripes flanking its fur, is quite the ambitious hibernator, so much so that it has aroused the interest of medical researchers. As it turns out, the livers harvested from rodents that can hibernate (13-lined ground squirrels) last much longer outside of the body than livers harvested from rodents that can’t hibernate (rats). I’m not sure, but it seems that the lead researcher is hoping that unlocking the genetic clues of hibernation could lead to the development of a human-style hibernation, to be induced prior to harvesting organs from dying humans (although it seems that this raises all sorts of ethical issues, a la the movie Coma.). I have to admit, I feel a bit sorry for the research subjects; it can’t be much fun to be unwittingly signed up to have your organs removed and studied.